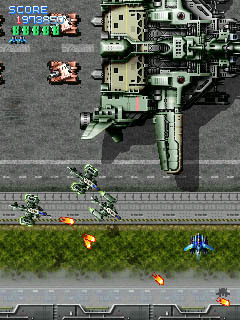 Clickgamer.com exclusively launches classic Japanese arcade game for Windows Mobile. 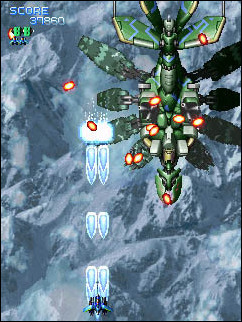 Casual gamers from around the world will be able to download XIIZeal and purchase this game over the air, or to a desktop where the game can be synced onto their Pocket PC. Europe's leading Direct To Consumer portal for Windows Mobile games, clickgamer.com , is exclusively promoting the worldwide release of one of the greatest Japanese arcade games on the Windows Mobile Pocket PC - XIIZeal. 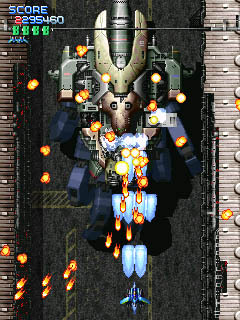 This release is a conversion of the Japanese arcade game XIIStag by Triangle Service Corp. XIIZeal is published and developed, in collaboration with the original developers, by Eurosoft-Games - game development division of Eurosoft International, Inc.who has secured the rights of the game for Microsoft's Windows Mobile platform. The game is currently available for all versions of Windows Mobile Pocket PCs. "With XIIZeal, windows mobile gamers will be able to experience all the gameplay that enthusiasts of the original game have enjoyed in traditional arcades and the PS2 where the game concept has been successfully deployed." says Chris Byatte, Joint Managing Director of Chillingo , the parent company of clickgamer.com. 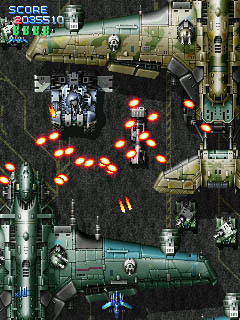 "Eurosoft has done an amazing job in capturing the essence of this arcade classic onto the Pocket PC," Mr Byatte added. VP of Business Development for Eurosoft International Inc, Gleb Novodran explains "We always were excited about Japanese shooting games and wanted to bring their distinctive style to Windows Mobile platform. Our first game, ClayGun, was heavily influenced by modern Japanese shooters. In the case of XIIZeal we bring a game from the arcades to Windows Mobile devices directly." Clickgamer.com sells mobile games for all varieties of mobile devices including Window Mobiles, Symbian, Palm, RIM BlackBerry and J2ME direct to its customers worldwide. Major publishers including Vivendi Mobile, Redboss and Infusio work with Clickgamer.com as a non-operator affiliated site to deliver games to customers irrespective of mobile network. "We definitely see arcade games as one of the best selling game genre in casual gaming. XIIZeal will be a big performer for sure." said Joe Wee, Joint Managing Director of Chillingo. He adds "Casual gamers from around the world will be able to download XIIZeal and purchase this game over the air, or to a desktop where the game can be synced onto their Pocket PC." Clickgamer.com utilises the ClickPayGo mobile payment system to allow customers to consolidate their purchases and buy directly via their mobile phones and desktops. Chillingo, the parent company also operates Clickapps.com which specialises in high quality mobile software applications, and also the recently launched Clickbands.com which deliver full track download music.